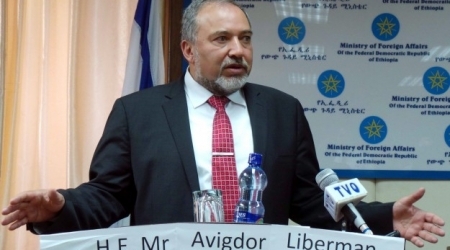 Israeli Foreign Minister and the head of Yisrael Beiteinu Party, Avigdor Lieberman, lashed out at Israel's Arab citizens, Sunday, threatening to cut their heads off with an axe. "Those who are with us deserve everything, but those who are against us deserve to have their heads chopped off with an axe," Lieberman said during an election rally in the western city of Herzliya, according to Al Ray correspondence (Andalou). His party was recently the focus of a corruption probe within the Israeli political spectrum, and, more recently, Lieberman's life was threatened with an assassination attempt. During Sunday's rally, Lieberman said that those who raised the black flag of what is called the "Nakba Day" in mourning over the establishment of Israel, did not deserve to belong to the state of Israel. "I am quite willing to donate them [the people who raise the black flags] to PA chief Mahmoud Abbas," Lieberman said. "It would be my pleasure," he added. During last year's Nakba Day solidarity protests, two Palestinian teens were killed by Israeli soldiers for no apparent reason, raising only token concern within the international spectrum. He called for including Arab states and Israel's Arab citizens in any settlement with the Palestinians. He said there could not be a bilateral settlement of the Palestinian-Israeli conflict, calling for a regional settlement that included Arab states and Israel's Arab citizens. "The Palestinians know what is being said about them now in the Arab world," Lieberman said. He added that some Arab states believed that real threats came from the Palestinian faction Hamas and the militant group Daesh, not from Israel. The League of Arab States on Sunday spoke out against the silence maintained by the international community vis-à-vis Israel’s violations of Palestinian women’s rights and of the international human rights conventions. The Arab league, in a statement issued on the occasion of the International Women’s Day, called for the need to pool resources, both regionally and internationally, so as to defend women against all forms of sexism. The statement further pointed out the regional and international efforts made by the Arab league to halt all forms of discrimination against women despite all the challenges faced by the Arab woman, particularly in war-torn areas. The Arab League is currently holding contacts with different member states and parties to put into effect the so-called Cairo declaration on the post-2015 development agenda, the statement added. Meanwhile, the Arab League is set to propose a new resolution, on Monday, calling for bringing an end to Israel's occupation of Palestinian territories. The league said that it would present the resolution to the United Nations Security Council. "Just and comprehensive peace is a strategic option," the league wrote in the draft resolution, describing Arab-Israeli peace as an "indivisible" and "comprehensive endeavor." It added that peace would not be achieved without full Israeli withdrawal from all occupied Palestinian and Arab territories, including the occupied Golan Heights of Syria. The potential resolution also calls for withdrawal from territories occupied by Israel in southern Lebanon, the Arab League said. It added that the draft also underlines the need for finding a just solution to the problems of millions of Palestinians who were forced to leave their country and live as refugees in other countries. Imagine what would happen if tens of thousands of Israelis marched on the Qalandia checkpoint demanding that the occupation end immediately. Some 50,000 people showed up on Saturday at a rally demanding change: a change in government, a change in attitude toward the Palestinian issue, a change in the state’s approach to social issues. 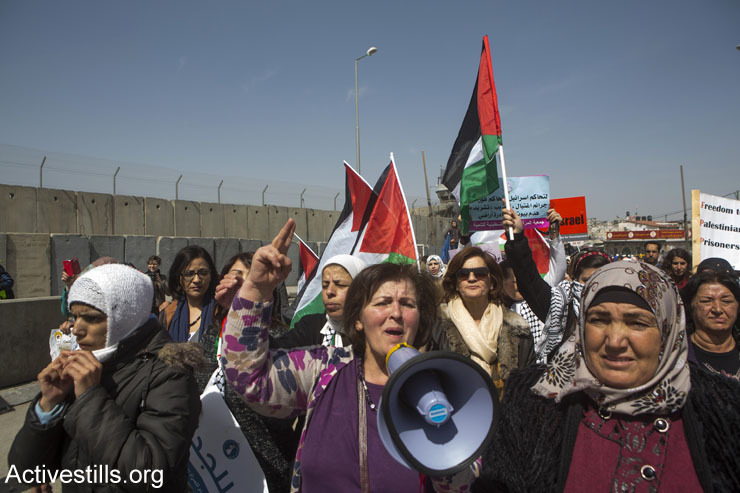 Earlier that day in Jerusalem, some 1,500 Israeli and Palestinian women marched toward both sides of the Qalandia checkpoint — that separates Jerusalem and Ramallah — with more articulate demands for change: an end to the occupation. Palestinian women march toward the Qalandia checkpoint separating Ramallah and Jerusalem. Israeli soldiers broke up the joint Israeli-Palestinian protest against the occupation, a day before International Women’s Day, March 7, 2015. Imagine if 50,000 Israelis marched on Qalandia to demand an end to Israel’s undemocratic military rule over Palestinians, an end to the checkpoints that restrict Palestinian freedom of movement while allowing Israelis to drive through unhindered, an end to separate laws and permit regimes that do indeed bring up images of South African apartheid. Imagine if all of those people who are angry enough about Netanyahu’s lack of vision on the Palestinian issue directed their anger at the occupation itself instead of the leader who administers it, conveniently ignoring that their leader has no vision for ending it either. Imagine if it became socially acceptable in the Israeli mainstream for Israelis to peacefully march on checkpoints manned by Israeli soldiers, demanding that said checkpoints be dismantled and that full equality be Israeli society’s primary goal. Imagine if that were something society as a whole cared enough about to demand. 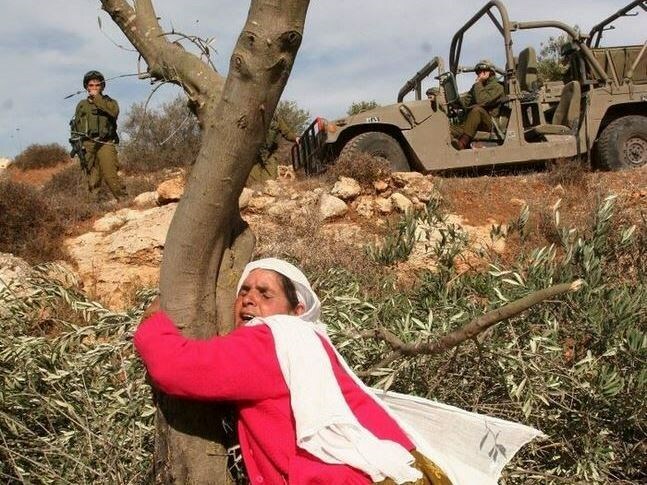 That is the brilliance and tragedy of the occupation. While half of Israelis consistently express [PDF] that they want the occupation to end (in the framework of a two-state solution), only a marginalized few, so-called radical activists, take any action against the occupation itself. Instead, the majority blames its leaders — and blaming Benjamin Netanyahu for not ending the occupation is akin to faulting Silvio Berlusconi for not spearheading election finance reform. If 50,000 Jewish Israelis marched on the Qalandia checkpoint demanding an end to the occupation even Netanyahu would take note, Herzog would change his messaging overnight, and the seeds of change just might have a chance of sprouting. Until then, the best possible outcome of an “anyone but Netanyahu” approach is a slightly more palatable, slightly more sustainable occupation — not change. 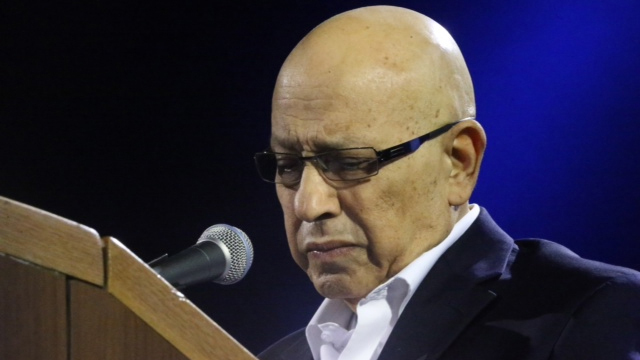 Former Mossad chief Meir Dagan, who addressed the rally, told the crowd that Israel faces its worst crisis ever under Netanyahu's leadership, according to WAFA correspondence. “No one denies that Iran's nuclear program is a threat, but going to war with the U.S. is not the way to stop it,” Dagan was quoted by Haaretz. In recent weeks, Dagan criticized Netanyahu's decision to speak before the U.S. Congress, and he continued his criticism at the rally, saying that he has never seen such stagnation in Israeli politics. 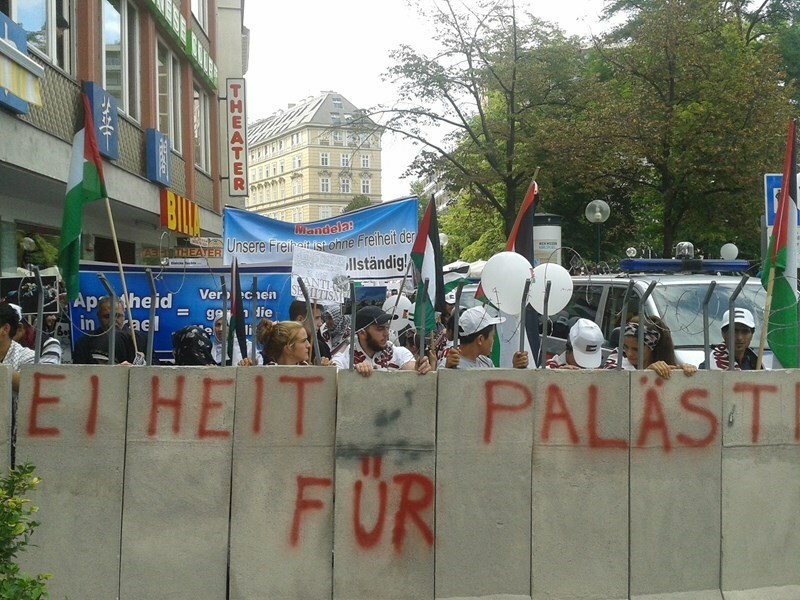 Women in Black, a Jewish non-governmental organization, on Saturday staged a sit-in in the Austrian capital Vienna condemning the Israeli Separation Wall in the West Bank and Israel's apartheid policy against the Palestinian people. The sit-in is part of activities of the annual Israel Apartheid Week which started on March 1 and ends today Sunday, March 8. The participants lifted banners slamming Israel's apartheid policy and demanding an end to the construction of the Separation Wall, according to Anadolu news agency. The participants also distributed brochures to raise awareness of the Palestinian cause in general and the Israeli apartheid policy in particular. For his part, Samuel Felber, 52, member of The Jewish Voice, a non-governmental anti-Zionism organization, said that he ran away from Israel to Austria because he “refused to serve in the Israeli army and kill unarmed Palestinians”. He also pointed to the Israeli apartheid policy including establishing checkpoints and enforcing military laws against Palestinian civilians while enforcing civilian laws on settlers, residing in occupied lands; let alone the Apartheid Wall. Israel started to build the Wall in 2002 to separate the West Bank from 1948 Palestinian lands under the pretext of preventing Palestinian attacks in these areas during al-Aqsa intifada (uprising) in 2000. The International Court of Justice ruled in 2005 that the Wall is "illegitimate". The Israel Apartheid Week was first launched in February 2005 in Toronto University in Canada by a group of students in coordination with pro-Palestinian activists, and after the huge success in attracting the attention of local and international media, the events started to spread throughout the globe and now 250 cities participate in this week on annual basis. According to the Palestinian Central Bureau of Statistic more than 50,000 Jerusalemites are deprived from living in Occupied Jerusalem and are isolated in the West Bank on the other side of the Wall. Maj. Gen. (res.) Dagan tells massive crowd at Rabin Square 'change' rally that 'Israel is in the worst crisis since its creation' after six years of Netanyahu's leadership. Former Mossad chief Maj. Gen. (res.) Meir Dagan slammed the current administration on Saturday night in front of a crowd of some 80,000 at a rally in Rabin Square. "I fear our current leadership," he said, warning that the Gaza war "ended with no deterrence and no diplomatic achievements." "I am here as a soldier who wants to do everything required and possible for the state that I have dedicated 45 years to defend. I have no other aspirations," he told a receptive crowd in the square where Labor prime minister Yitzhak Rabin was assassinated almost two decades ago. Recalling the trying times during his service in which he valiantly fought to defend the country, Dagan remembered that in 1973 "I thought if they cannot destroy us now they probably never will. I still believe that today. Israel is surrounded by enemies. Enemies do not scare me; I worry about our leadership." Dagan said he fears "there is a lack of vision, a lack of direction and determination, and a dearth of exemplary leadership. I fear hesitation and stagnation. I fear – above all – a crisis at the helm. The crisis we are experiencing today is the worst that I can remember since the creation of the state." 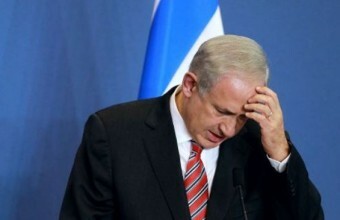 "For six consecutive years Benjamin Netanyahu has ruled as prime minister. Six years in which he did not lead one real move to change the face of the region or to create the foundation for a better future," he told the crowd in his impassioned address. Though claiming to represent no faction, Dagan nevertheless harshly criticized the policies of Netanyahu without mentioning his coalition partners. "On his watch Israel conducted its longest campaign since the War of Independence, during which the home front was under fire." "For an entire summer the people of Israel sat in shelters while thousands of rockets were fired at them. We paid a heavy price in blood for a campaign that ended for nothing – no deterrence and no diplomatic achievements," he said. Michal Kesten-Keidar, the widow Lieutenant Coronel Dolev Keidar, who was killed in Operation Protective Edge, shared her tale of loss. "No one is talking about the diplomatic process or peace agreements anymore," she said. "An entire election campaign is being run without mentioning the blood that was spilled here this summer. Maybe it's too scary. Too difficult. But I, last summer, lost the love of my life to war, and I have come here to ask you – when you go to the ballot box, vote for those who will try to prevent the next war. For those who are willing to do everything possible to prevent more deaths." Referencing Netanyahu's response to the state comptroller's housing report, Kesten-Keidar said that "what's important is life itself. But you can't always talk about Iran and shut your eyes; you can't always talk about Iran and shut your eyes to the bloody conflict with the Palestinians, which costs us so much blood. How many lost women like me will lose their hearts, their lives? How many miserable parents will lose their sons until our country realized there's no other way but to reach an agreement? We have already lost our Dolev. Nothing will bring him back. But we have to prevent the next deaths. I would give everything to prevent the last war. I won't be able to do that, but I ask you, for my sake, for my children's sake, I am begging you. We deserve hope. We deserve another, better life. Please, do everything you can to prevent to next war." "We are all here because we can no longer stand idly. I sensed that Israel was losing its way and that we are galloping towards disaster – and that's why I'm here, and that's why I'm fighting this war on this stage that is so foreign to me," said Major General (res.) Amiram Levin. "We are in a war over the country's character and over its very existence. This is a war over the Zionist dream. This is war over our future, and our children's and grandchildren's futures. This is a war over our belonging to the family of enlightened peoples in the world." Levin said Netanyahu had failed to bring security to Israel. "Ask the residents of the Gaza envelope, who for the first time lost faith in the security forces. Ask the residents of Jerusalem. We are in imminent danger of losing our character as a Jewish state and as a cultured and enlightened society. But there is another way. We must change course, and we can change course." Josef Regev, who was in the first IDF tank to cross the Suez Canal in the Yom Kippur War and was gravely wounded in the fighting, lashed out at Netanyahu. "I learned the hard way the horrors of war. Last year, my friends and I led the call for reviving work on an agreement. But we were disappointed to learn that the prime minister's conduct only hurts the possibility of reaching an agreement." He urged the crowd to vote in the election for new leadership to push the peace process forward. "To preserve our national strength we need a courageous and responsible government. That's why, on March 17, all of us must go out and vote. For our future and for the generations to come, we must replace the administration." 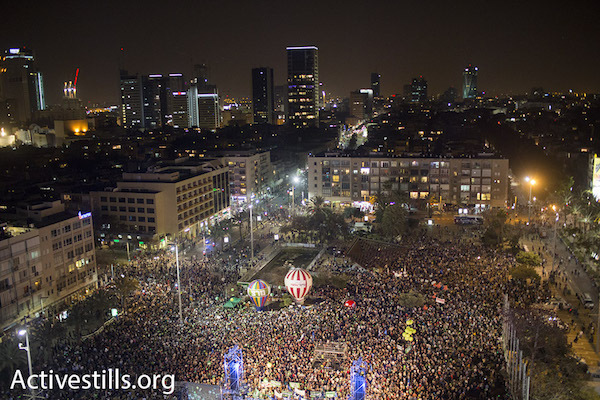 The rally's organizers explained that they expect "a mass show of force, with Rabin Square filling up with hundreds of thousands demanding to replace the administration and change the priorities of the state." The list of slated speakers included Michal Kesten-Keidar (the widow of Lt.-Col. Dolev Keidar, killed in Operation Protective Edge), social activist Orly Bar-Lev, and Maj. Gen. (res.) Amiram Levin. Central avenues leading to the famous square were blocked starting at 6 pm. Police directed those arriving by private vehicle to use specific parking lots across the city to avoid massive congestion in the heart of Tel Aviv. Before the rally, former Mossad chief Maj. Gen. (res) Dagan warned against allowing Netanyahu to continue implementing his 'dangerous' policies. "As one who served the State of Israel for 45 years in a series of security roles – including in our darkest hours – I feel that we are in a critical period for our future and our safety." "I have no personal animosity towards the prime minister, his wife, his expenses, and his guests – I am only looking at the policies that he led. These are policies which are destructive to the future and the safety of Israel," stressed Dagan. The former spy chief, who will headline the anti-Netanyahu protest, appealed to his fellow Israelis ahead of the rally. "As one who raised his kids here and is now raising grandchildren here, as one who believes with all his heart in the Zionist dream – I feel a threat to the continuation of that dream, and that is what I will address."